Most of you know that the rest of the world stares at Parkinson’s symptoms and determines how well or how poorly you are doing based upon what they see in your symptoms. By now, I am hoping that you know how incorrect they are in their assessments. As you are doing the Parkinson’s Recipe for Recovery®, your symptoms may look the same or worse to the nay-saying onlookers. So, you ask, how do you look at these symptoms and say with full faith and confidence, “I know I will be cured.” You have to not look at your symptoms through the eyes of the rest of the world. Instead, look at how you are healing on the inside and you will know how well you are doing in your recovery. Here are ways to know how well you are healing on the inside. If you have gotten back your lost sense of smell, this is a sign that you are healing your liver. If your fingernails are strong and healthy looking rather than yellow and brittle, this is a sign that you are healing your liver. If your fingernails are growing faster than they used to, this is a sign that you are healing your liver. If the whites of your eyes are white and not yellow or milky, this is a sign that you are healing your liver. If people keep telling you how good you look or how healthy you look, this is a sign that you are healing your liver, your gallbladder, your lungs and your large intestine. If your skin looks healthier, this is a sign that you are healing your liver, your gallbladder, your lungs and your large intestine. If your bowel functions have improved, this is a sign that you are healing your liver, your gallbladder, your lungs and your large intestine. If you have rid yourself of urgent urination issues, this is a sign that you are healing your kidneys and bladder. If you have increased energy or are feeling less fatigue, this is a sign that you are healing your kidneys and spleen. If you have gotten indigestion under control, this is a sign that you are healing your stomach and your spleen. If you are taking medications and you have not had to increase your medications, this is a sign that you are healing your liver and gallbladder. If you are taking medications and your “off” time is diminishing or has disappeared, this is a sign that you are healing your liver and gallbladder. If you are taking medications and you are safely and slowly reducing your medications, this is a sign that you are healing your liver and gallbladder. If you were taking medications and have safely and slowly completely eliminated your medications, this is a sign that you are healing your liver and gallbladder. The above list is not an exhaustive list, but it is a sampling of where you need to look to know you are curing yourself. The rest of the world has no idea about your returned sense of smell, your healthy fast-growing fingernails, your improved urinary and bowel habits, your increased energy, and your improved digestion. So, there is no reason to care what they think when they look at your symptoms. “The problem is not your Parkinson’s symptoms. The problem is your attitude about your Parkinson’s symptoms. Do you understand?” You may click here to read the full post. As a little “pick me up” on the truth of these above-stated assertions, in the last year, eight people who have been doing the Recipe for many months have reported to me that upon visiting their general practitioners for their annual visits and having blood and/or urine samples sent to the lab, 100% of the tests have come back in the normal range. In each situation, the general practitioner could not believe that the person who had Parkinson’s Disease and was exhibiting outward symptoms was completely healthy on the inside. If you want to know how well you are doing, look inside. You will be amazed at what you will see. I’ve never heard it said what sort of sound that tortoises make, but whatever it is, that is the sound that I am making right now! I loved your blog entry. I went down the list checking each one of them off… Yes, yes, yes! I am healing! I see it, I feel it, and I know it! Thank you, Howard, for so lovingly sharing your experience, strength, and hope with all of us! HUGS to all my fellow tortoises! Howard, your insightfulness and faithfulness are inspirational. Like Tony i thank God for you everyday. What would we do on the gray, low, doubting, scary days if you were not there uplifting, inspiring, encouraging? We love you, Howard. May God richly bless you and yours always. I have improved somewhat, sense of smell is back, rigidity gone, no constipation and sleep is improving. The tremors are worse, but I see this as an improvement or am I wrong? Some say the tremors are the last thing to go. Thank you for your love and kind words. I am grateful. Also, thank you for opening your hearts and sharing your experiences to encourage the others. We have a loving, caring, Parkinson’s recovery community. As to Susanne’s specific question, yes, the tremors appearing worse is an improvement. To finish your recovery, you will need a lot more energy than when you started this journey. As your body is generating more energy, when the energy hits the blockages in your system, it will cause you to tremor more. I am so happy to see that you have recognized this as a good thing because it absolutely is a good thing. And, you defeated fear that something might not be going well. Susanne, you wrote that “sense of smell is back, rigidity gone, no constipation and sleep is improving.” I feel that everybody will agree that those all are wonderful signs of your recovery. And Margee, you as well. You went down the checklist and checked them off, one by one. And recognizing and seeing your recovery from the inside allowed you to say that it is okay that you are moving like the tortoise…the tortoise always wins the race. And Tony, spot on — fix the organs and the Parkinson’s symptoms fix themselves! And Judy, you too have kept your Parkinson’s fight alive. This is wonderful. Again, thank you to all of you for your comments, and thank you to all of you who are reading this blog and the comments. Together, we will help each other bring everybody across the finish line. A big thanks to Howard and everyone ! I think the thing that I have seen improve the most is my sleep patterns. I believe this is a very big deal . Not only is my body getting a much better chance to heal physically, but it is a sure indication that I am healing mentally and emotionally! I agree with Howard and Jack Sparrow that it is all about attitude. I don’t know who the author of this quote on attitude is, but it is one of my favorites ! Thanks for your post. Sending lots of love and encouragement your way. I want you to know that your comments in the past have had a positive affect on me. Thank you ! I am sending lots of positive thoughts your way and hoping that your physical body will hurry and catch up with your giant spirit ! Remember…….Your a shiny teapot, and I can see you shine clear across the world. Bless you Debbie thank you little Miss Sunshine. Thank you both for your love, your candor, and sharing your journeys with all of us as you both so often do on the blog. I am grateful for your vulnerability and your trust in yourselves and the Recipe, and for your constant encouragement of those on this recovery path. Have a wonderful day and know that there are people all over the world who are benefiting from the Recipe for Recovery ! the tremors relief you got in the receipe anything else for tremors when you need to sleep? The only thing I did was the Governing Vessel Acupressure in the Recipe. People have told me that they sit zazen to get completely relaxed and they take that relaxed , mostly-tremorless feeling into bed and go to sleep. That is all I can offer. yes I have tried the zazen at night, difficult but sometimes do-able. But I just realized that an increase in hand tremor is a common side effect in Sinemet. This is from drugs.com so I decreased a dose and it got better. This to me means I may be taking too much, I see my neuro doc in 2 weeks. Thanks for being there Howard! I just moved to SAC 2 years ago and got diagnosed right after that so I don’t know many ppl here, and of course my ever-loving daughter, but its nice to get the support. maraviilloso post Howard y gracias a todos por compartir sus experiencias ,es una excelente mecanica de grupo que nos anima a todos y nos da valor y fuerza interior que nace desde lo mas profundo de nuestro verdadero ser, para seguir adelante , Karen me hicieron llorar tus palabras si Karen Dios habita dentro de cada una de sus creaciones,y si el nos dio la vida debe estar en alguna parte de nosotros,,como dice “UN CURSO DE MILAGROS” “DIOS ES MI FORTALEZA EN LA QUE CONFIO” . “EL AMOR DE DIOS ES MI SUSTENTO” “TODOS TENEMOS DERECHO A LOS MILAGROS” y es verdad por ser hijos de Dios, los tiempos d e el son diferentes a los nuestros. Yo debo reconocer que muchos de mis sintomas que son los que define la ciencia como sintomas de parkinson como el temblor, ha aumentado un poco en mi cuerpo sobre todo sacudidas de brazos, ……….la rigidez tambien aumento, movilidad un poco mas lento, destreza disminuyo y un poco de perdida de fuerza en brazos y piernas. pero esto no me desanima, he estado haciendo estiramientos musculares y me ayuda con la rigidez. lo que debo decirles que tambien reconozco es que mi espiritu y mi voluntad permanecen fuertes , inalterables sin doblegarse , espiritual, emocional y mentalmente me siento perfectamente ya que diariamente al igual que lo menciona karen entrego mis miedos, dolores emocionales ,sufrimientos , culpa y resentimientos a Dios. y le pido me ayude a transformarlos en campos de energia de amor, alegria, felicidad ,perdon y compasion……..esta condicion de paz interior aun no se ve reflejada en su totalidad en la parte fisica mas superfficial, pero se que lo sucedera, soy paciente como la tortuga. mi olfato esta en termino medio, tengo una uña quebradiza es de la del dedo que mas tiembla,sin embargo las demas uñas son blancas y crecen con rapidez, mi energia corporal ha aumentado un poco, esto me agrada. algo que debo pedirle a Howard , me incluya en su lista de 8 personas conmigo seria 9,que recibio recientemente resultados de examen de orina y sangre y fueron saludables. me gusta imaginar muchas cosas es un buen ejercicio para la mente haganlo. vida. Imagínate que vives libre de conflictos contigo mismo y con los demás. lo que sea o a quien sea. demás, y a cambio, ellos te respetan a ti. corazón completamente abierto y sin el temor de que te puedan herir. perder nada. No tienes miedo de estar vivo en el mundo y tampoco de morir. emociones tal como son. Sabes que eres perfecto tal como eres. como estar enamorado. Flotas entre las nubes. Percibes amor vayas donde vayas. cambiado sus acuerdos y sueñan un sueño diferente. Howard wonderful post and thank you all for sharing your experience, is an excellent mechanics group that encourages us all and gives us courage and inner strength that comes from the depths of our very being, to move on, Karen made me mourn your Karen words if God dwells within each of its creations, and if he gave us life must be somewhere of us ,, as “A Course in Miracles” says “God is my strength in which I trust.” “THE LOVE OF GOD IS MY SUPPORT” “everyone is entitled to miracles” and it is true as children of God, the times are different from ours. 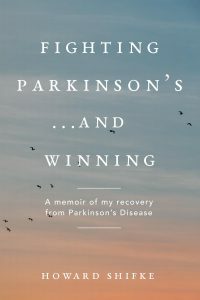 I must admit that many of my symptoms that are defining science as Parkinson’s symptoms such as tremor, increased a little in my body especially arms shake, ……… .the rigidity also increased slightly slower mobility , decreased dexterity and some loss of strength in arms and legs. but this does not discourage me, I’ve been doing stretching muscles and helps with stiffness. I must tell you that I also acknowledge that my spirit and my will remain strong, unalterable without yielding, spiritually, emotionally and mentally I feel perfectly since day as mentions karen give my fears, emotional pain, suffering, guilt and resentment bye. and I ask you to help me transform them into energy fields of love, joy, happiness, forgiveness and compassion …… ..this condition of inner peace not yet fully reflected in the most superfficial physical part, but it will happen I am patient like the turtle. my nose is on average, I have a brittle nail is the finger that more quakes, but the others are white and nails grow quickly, my body energy has increased somewhat, this pleases me. something I have to ask Howard, include me in your list of 8 people with me would be 9, which recently received results of urinalysis and blood and were healthy. I like to imagine many things is a good exercise for the mind. life. Imagine living free of conflict with yourself and others. others, and in return, they will respect you. completely open without the fear that you may hurt heart. losing anything. Not afraid to be alive in the world and not to die. emotions as they are. You know you’re perfect as you are. like being in love. Fleets in the clouds. You perceive love wherever you go. changed their agreements and dream a different dream. Thank you Howard I really needed this post as I am really struggling with bad symptoms and lack of time for myself. However i have come some way mentally and am also organising some therapy to deal with what seems to be crushing Lack of self confidence. Slowly getting there! Mayarita, what a lovely thing to say ” now I can sleep” bless your beautiful heart. Howard told me to be patient and my body will heal itself. As long as I have the right attitude, live in my heart and faithfully do the recipe I am on my way to the finish line . We all can do this, we are in this together. Thank you Howard, you are my shining star. Thank you for sharing your journeys of recovery, the triumphs and the challenges. That is what makes it real. This journey is filled with peaks and valleys of how symptoms appear, but when you can keep your mind calm and your heart open with love, compassion and joy, the body eventually will catch up. Howard, each week as mid week approaches I wait for your inspirational post. I feel the day I found Your site was the dawn of my recovery. Fortunately, I did not have many of the symptoms some of you are dealings with and I thank God each day for it. I think , I am also to be added as one of the warriors who has relentless faith in the receipe and have been doing it for now four months with utmost sincerity. I know I am healing from inside but since past week or so I have tremors in my left hand whereas only my right side was affected earlier. Howard want to know whether during the course of doing the recipe, do new symptoms arise? With deep gratitude, thank you Howard, you are our hope which had dwindled before we found you. As the energy in the body is transforming from errant energy to healthy, smooth-flowing energy, this may manifest in external symptoms that were not noticeable before. There is no need for concern. It is nothing more than energy shifting, which is necessary for your recovery. Thank you Howard, To learn of the cause of the is a big relief in fact inspiring that I am on my way to Recoveryville. Your words bring me to tears. All your courage and shining spirits emanate from these pages Howard has so gracefully given us. Such immense courage!!! Karen, Jimmy, Mayarita, Helen and each of you share such special ideas from the depths of your heart. This is inspirational in all of our healing. We are healing each other with our own outpouring of love. Karen , your struggles are superceded by your attitude. I love the visualizations that you have shared here Jimmy. Visualizations eventually become reality. I am beyond grateful. My experience is to be incrementally better every day I wake up since I started the Recipe. I do it in full without fail. If you are able to do this, I encourage you. The healing is real. My optometrist couldn’t believe how clear my eyes are. He knew about the eyes being the window of the liver. Yes, I am cleansing my liver! My kidneys are healing too! The increments may seem tiny but are truly gigantic. And I notice each one is real. I can lay on my arm, I can reach for things with my left hand, I can stand up from the floor in a balanced way like I could not do before. Ironically, yesterday I was unusually exhausted. I think Howard’s last reason of kidney /liver wind deficiency caused by insufficient rest has my name on it. I woke up not myself. With not as bright of an attitude. My symptoms were stronger. Not my usual experience. I knew I needed just plain old rest and I listened. In spite of the symptoms, I told myself I’m curing myself. Maybe this is the dark tempest before the brilliant violet dawn. These are my energies moving around apparently making me feel worse but actually making me get better. Well today I have awoken bright and feeling shiny. That violet dawn is here and on its way tomorrow as well. To each of you I am grateful. I send you bright blessings and vivid violet dawns. Listen to your own kind words and visualize your health. Thank yourself and be grateful for your sincere efforts. Love yourselves and heal yourselves! Thank you for your kind and inspiring words. Yes, we have a wonderful recovery community, and each of you is an integral part. Step by step, day by day, slowly like the tortoise, moving down the path to your full recovery.